Sister Eve knows God moves in mysterious ways. And Eve adores a good mystery. Especially a murder. 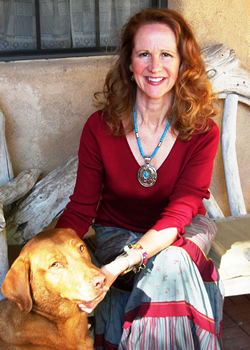 Two decades into her calling at a New Mexico monastery, Sister Evangeline Divine breaks her daily routine when a police officer appears, carrying a message from her father. 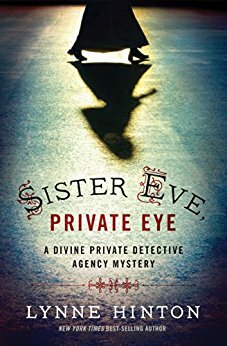 Sister Eve is no stranger to the law, having grown up with a police captain turned private detective. She’s seen her fair share of crime—and knows a thing or two about solving mysteries. But when Captain Jackson Divine needs her to return home and help him recover from surgery, Sister Eve finds herself taking on his latest case. A Hollywood director has disappeared, and the sultry starlet he’s been running around with isn’t talking. When the missing man turns up dead, Captain Divine’s case escalates into a full-blown murder case, and Sister Eve’s crime-solving instincts kick in with an almost God-given grace. Soon Sister Eve finds herself soul-searching every step of the way: How can she choose between the vocation in her heart and the job in her blood? Join me as I talk with author Lynne Hinton and her Sister Eve, Private Eye books. You can call in at 646-668-8485, press 1 to be live on air. Or download Stitcher on your mobile device. Or, click on the link here. Tune in!